Bellissimo! – Run. Ride. Roam. This morning I had to blow the dust off a t-shirt and pair of short trousers! Oh my giddy aunt…it was a warm morning! What a complete shock to the system! How special! 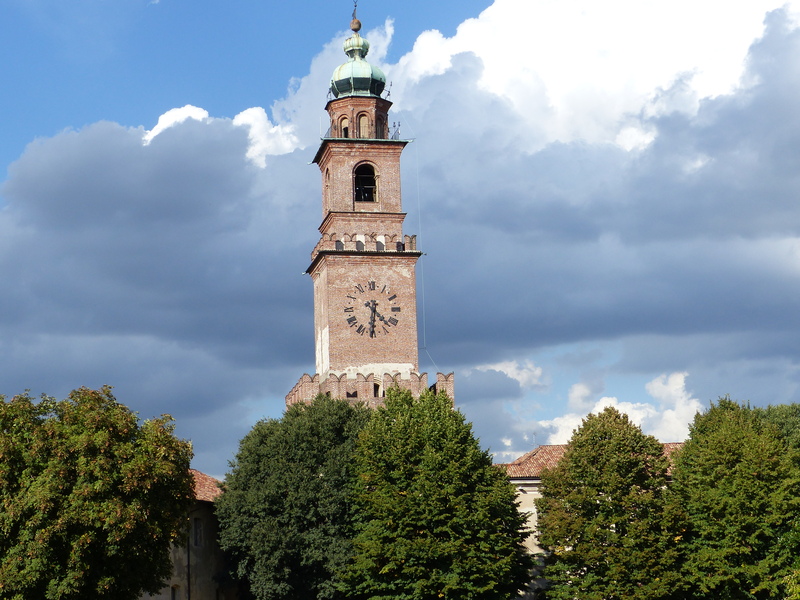 We pedalled off through the streets of Novara and I again thought how relative temperature is. We thought it was beautifully warm at 20C at 9:00am, but others thought it was weather for coats and scarves! We rode through the autumn colours of the trees lining the roads and through the patchwork of fallen leaves. We were stared at a lot…I mean, a lot! I think every second person did a double take as we rode past and I don’t think we’ve attracted that many stares since Spain. We were obviously a bit of a curiosity on wheels. Along with the stares, we got a lot of smiles too, though. We called into a supermarket to get supplies for the road and I went in to tackle the aisles and the language barrier. I found some bits and pieces and was standing in the bakery section choosing some rolls for Steve, when I ended up having a lovely chat to a lady, who was also selecting her daily bread. I had no idea what she was saying, but we had a very friendly exchange! She spoke to me in rapid Italian and I nodded and smiled. She kept going, in full conversation with me, but when her facial expressions changed a bit, I wasn’t sure if it was right to smile, since she might have been saying something that I wasn’t supposed to smile at. So I apologised and said, “No Italiano. Inglese.” Either she didn’t understand my attempts at Italian, or she did but she didn’t care that I didn’t speak her language, because she just kept going, talking away to me. Then I thought I heard her say, “Buona” and she patted her stomach. I laughed, because I interpreted that as she either really liked the bread, or she ate too much of the bread, so I laughed and pointed to myself and said, “And me!”. She laughed and we chuckled together over our shared love of the bread before us. It was a lovely, friendly chat, even thought neither of us had a clue what each of us were saying, but we got along just fine all the same! Yesterday, when I was waiting outside the closed hotel, while Steve was around the corner trying the door again, an older lady walked past and looked at the bikes, then spoke to me in Italian. I apologised for not understanding and for speaking English, at which point she nodded as if she understood, gave me a big smile and a wave and continued walking. She was lovely. So, I’m managing to still do what I like to do, which is chat to the locals, it’s just that so far it’s a once sided conversation, with me not being able to speak, but sometimes some non-verbals do the job OK.
With supplies successfully gathered, we continued riding, out of Novara and into the countryside. We passed quite a few cyclists and runners and nearly all of them gave us a smile, a wave or a thumbs-up. The morning continued to warm up and it was soooooo nice to be riding along in fine weather. The wind was blowing pretty strong, but it was a warm wind, so it was certainly bearable. 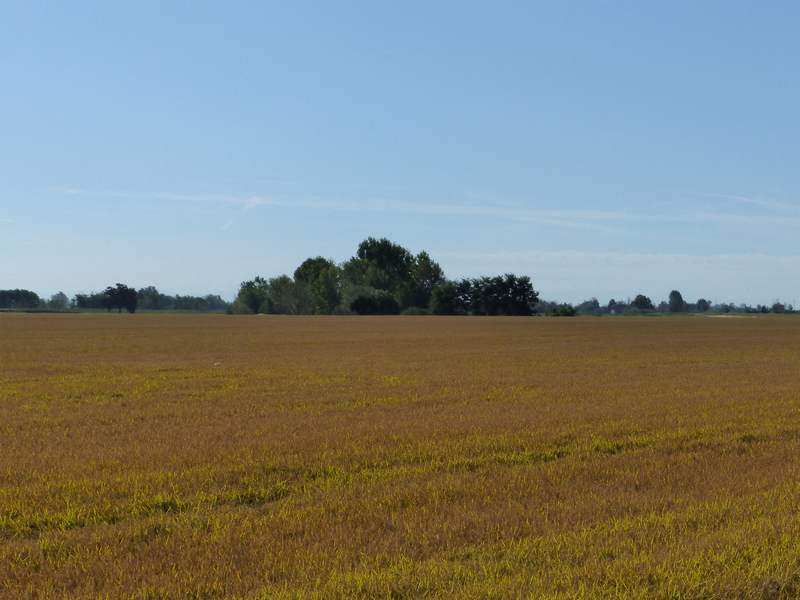 The countryside was flat, so we pedalled along, continuing our stretch of nice flat riding, along quiet country roads. We rolled into Vespalate, a small, quiet village and once again attracted some looks from the locals. 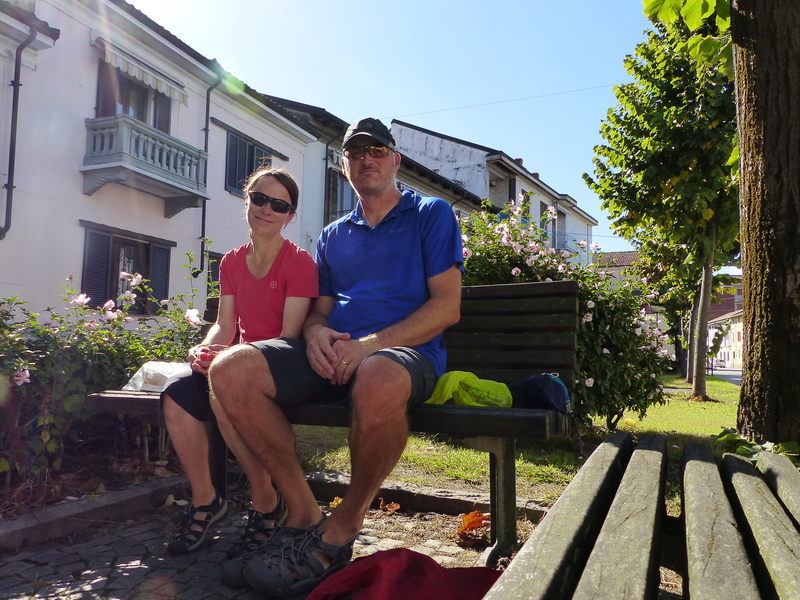 We stopped on a bench for elevenses and soaked us that glorious southern sun. What a great ride it continued to be, the sun shone, the countryside spread out around us and we rode down quiet, gravel roads and through small villages. It reminded me of riding through Spain and Portugal, with long stretches between villages and villages seemingly in the middle of nowhere. 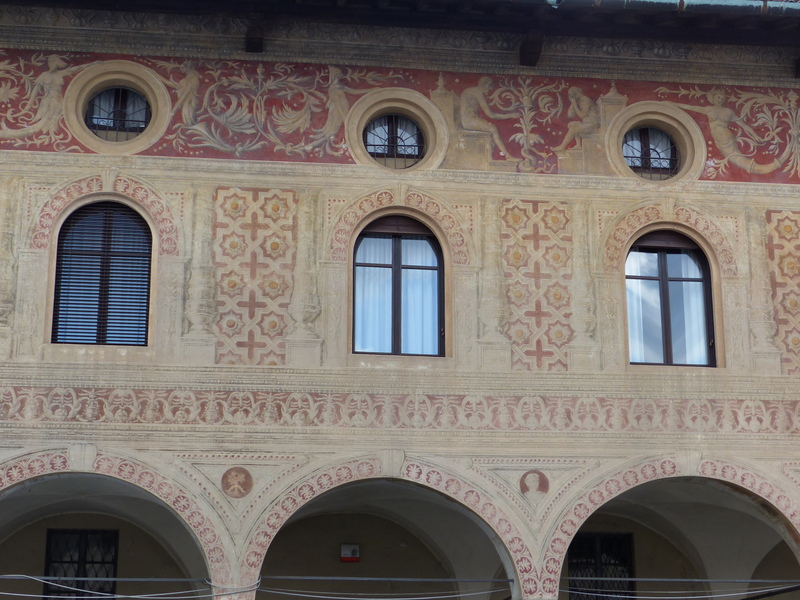 Some of the architecture and styles of houses were very similar too. A village that I loved and could have spent a long time in, was Tornaco. 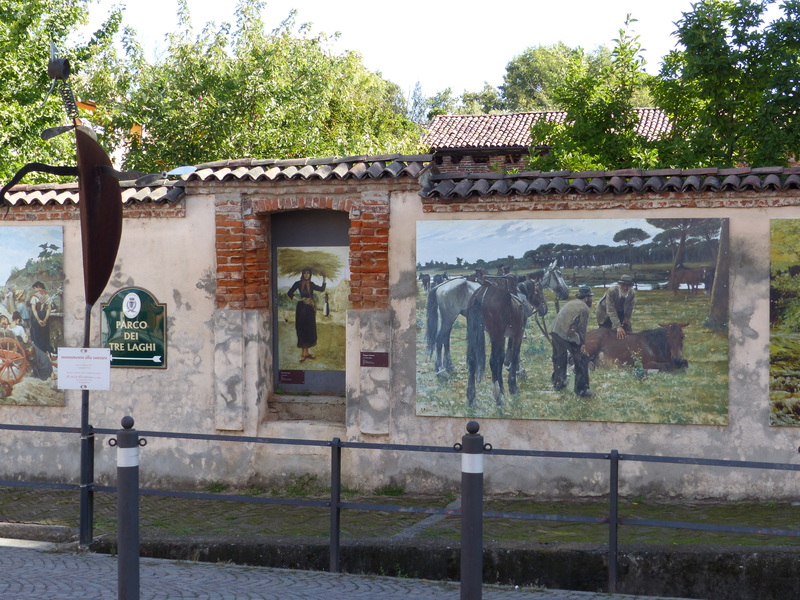 The whole village was like an art gallery, with paintings and murals and sculptures all around the town. 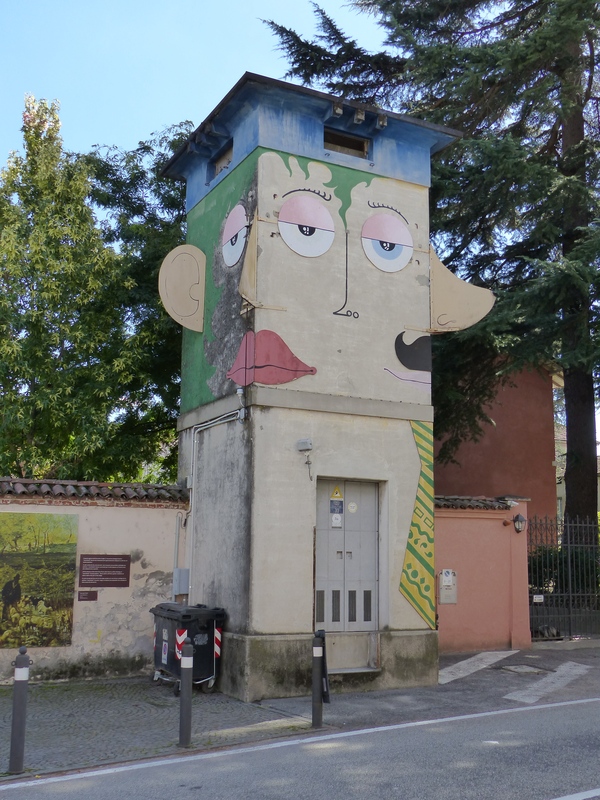 There was artwork everywhere on buildings, in the square, along walls. It was a village that could have been enjoyed like a giant art gallery, strolling around the streets, admiring the varied artworks. I hadn’t seen anything quite like it. Many towns have murals and artwork in the street, but Tornaco had it everywhere, just like a town sized art gallery. We had done our research and found that campsites were few and far between, so we had chosen a location for our pitstop, because it had a campsite, according to our App. I was riding along, thinking how much I was looking forward to getting back to the tent, especially in this gorgeous weather. 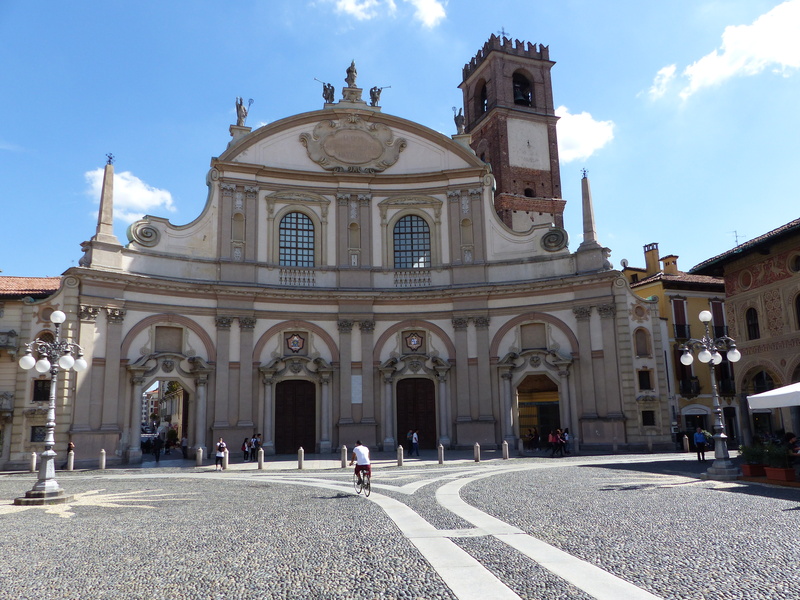 We rode into our chosen town of Vigevano and it was utterly delightful, with cobbled streets and beautiful old buildings in varied colours, with classic shuttered windows. Then we turned a corner and were presented with a sight that was nothing short of breathtaking. We had ridden into the Piazza Ducale and we stopped and said, “Wow.” It was absolutely stunning. 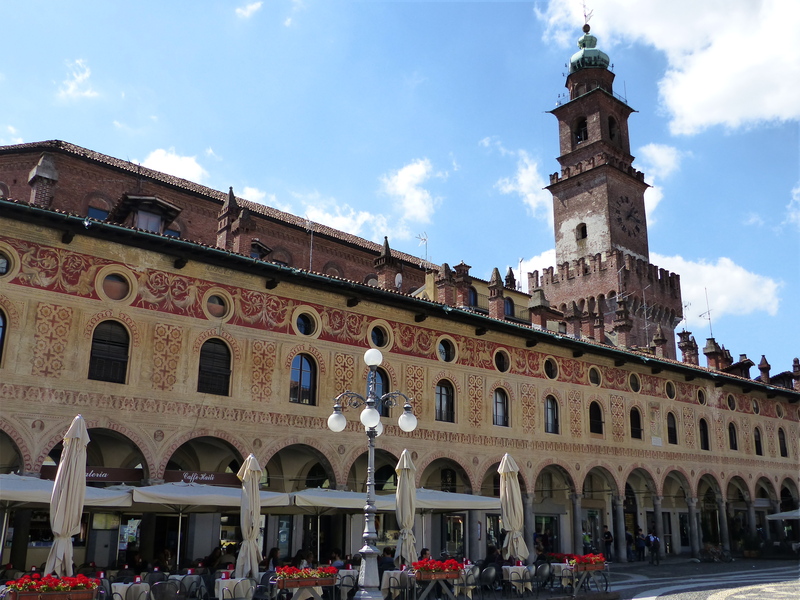 It was a 15th century renaissance square, surrounded by porticos and arches and walls of the most beautiful, ornate detailing. 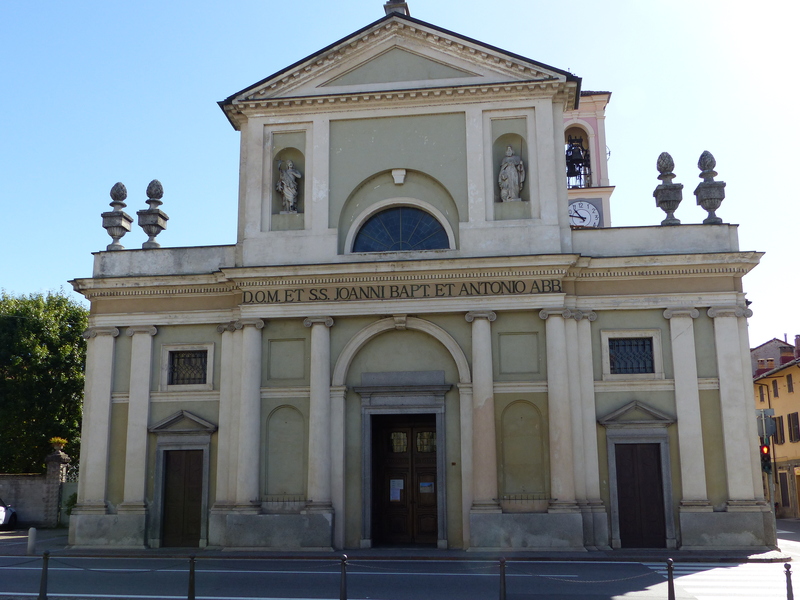 At the far end, stood the grand, St. Ambrose’s Cathedral. It was an utterly, beautiful space. We walked the bikes across the cobbles, round a corder and found a seat, in the quiet street, where we sat and had some lunch. 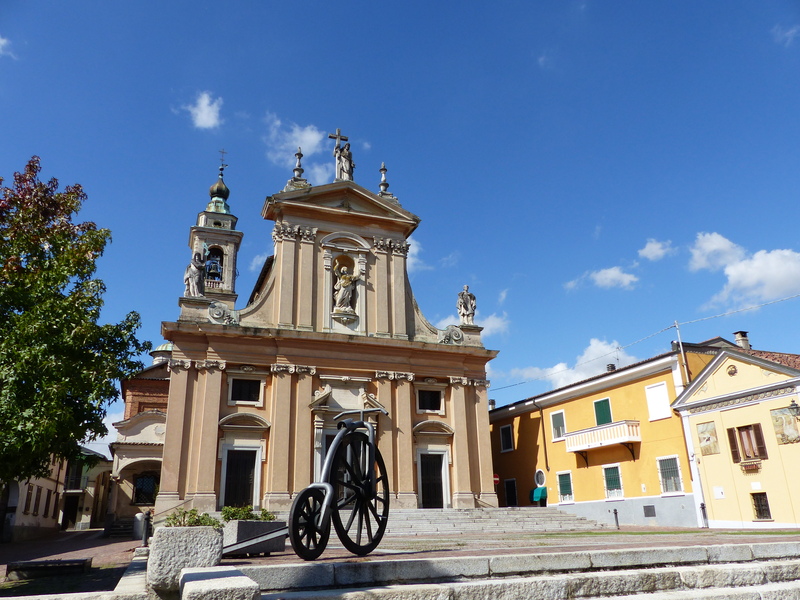 The surroundings were so lovely, and just how you would expect a historic, Italian town to look. We decided to go for a ride out to the campsite, check it out and hopefully find it was all ridgy didge, so we could pitch and then ride back in to explore the town some more. On the ride out, we passed a phone shop and stopped, because we still needed to get an Italian SIM for our phone, which was becoming very necessary, since we’ve had no internet on the road, which makes planning on the go very difficult (or contacting owners of closed hotels!). When we stopped at the shop, we found it was closed. Ah, right, we remember now. We obviously need to get used to being in another country where places close for a few hours in the middle of the day. So, still no working phone as yet. On we pedalled, along a pretty busy road and eventually located the campsite. Oh dear, that lock on the gate doesn’t look promising. That faded and dilapidated sign looks even less positive. Darn, the whole place had closed down! No campsite! Now what!? The next available campsite was another 50km away and we didn’t think we’d make that before dark. We had passed a McDonalds, so decided to go back there, get a drink and use their free wifi to look for somewhere else to stay. We’ve done this plenty of times before and this was going to be our solution. We actually sought some shade from the wonderful sun and sat with a cold drink, while we tapped into the wifi. Oh, the best laid plans! No, we couldn’t get onto the wifi! We needed to give a phone number to receive the password, and it wouldn’t accept our Dutch number, which is the only one we had from our previous SIM. It also wouldn’t accept our credit card, which was the only other way to register. Now what! Think…think…What time is it in Australia at the moment? 10:30 pm…could we?? Steve sent his mum and dad a text (for some reason the Dutch SIM would let us do that!) and asked them to ring us, which they promptly did. Then, Steve asked if they could look on the internet for us, to find some accommodation, since we were in a data black hole at the moment. Oh, thank you so much Len and Pauline! They called us back with some possible options, and with no camping on offer, it was a case of finding a hotel somewhere. Between Italy and Australia, the research was in full swing and Len and Pauline found a place for us, that just happened to be in exactly the place where we had just sat and had lunch! With us giving them our details over the phone and them sitting in front of their computer back in Tasmania, the room was booked! As we sat in the sun, they sat up late at night, helping us to find a roof over our heads! Thank you, so much! “Oh,” she said, “I love Australia! I lived in Melbourne for four years and I’m going back in October.” So there you go, an Oz connection in that little phone shop! 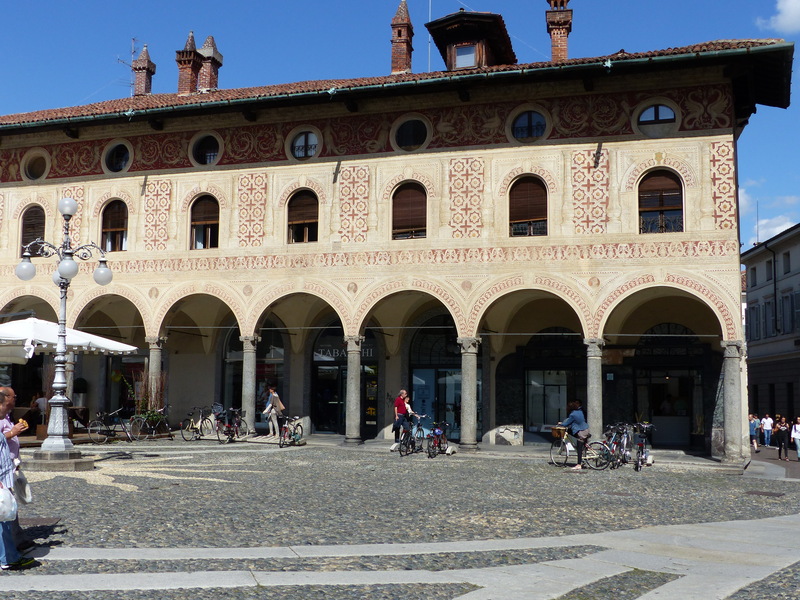 We rode back into the stunningly beautiful centre of Vigevano and found the apartment we had booked. 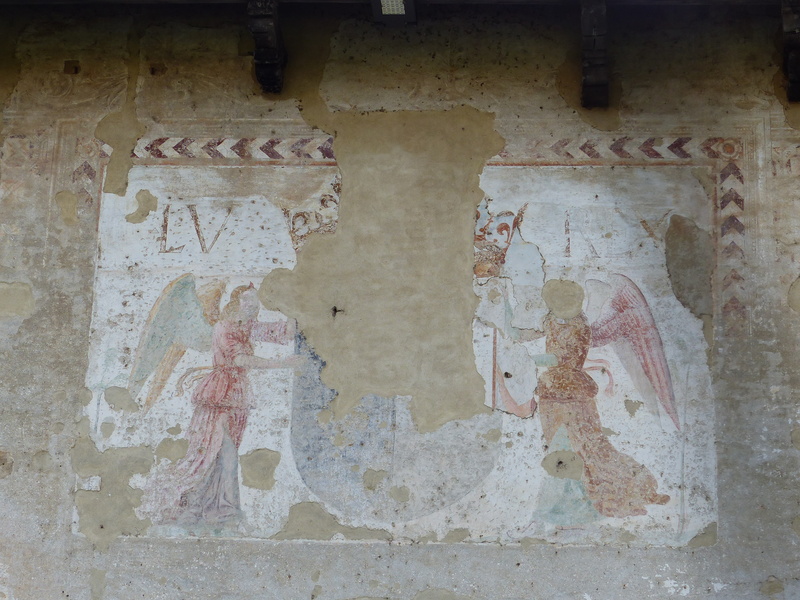 After some problem solving, to actually locate the owner, she greeted us warmly and showed us through the large gate into the courtyard, apologising that the room wasn’t yet ready. We apologised in return, saying that was quite OK and understandable as it was a last-minute booking. 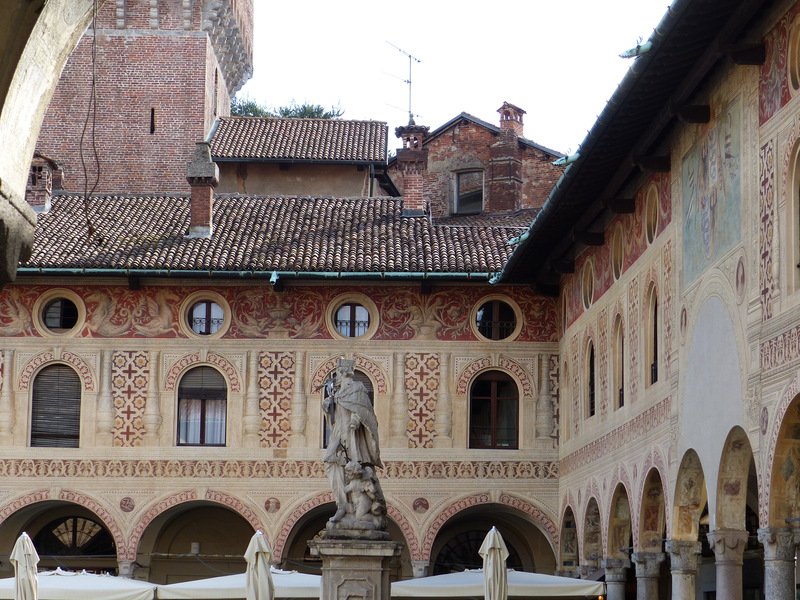 She said it would be an hour, so we parked the bikes in the courtyard and set off to roam around Vigevano. What a lovely town. 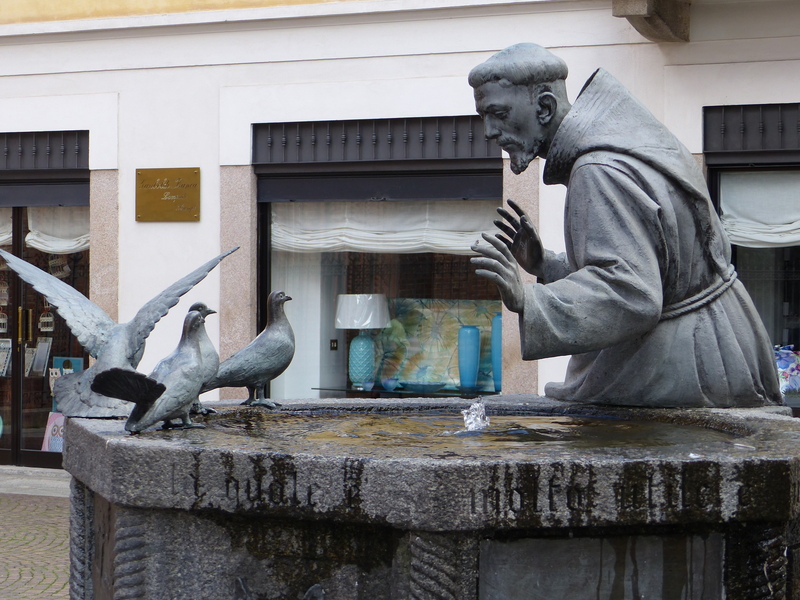 The streets were charming, the buildings old and beautiful and we strolled across the grounds of a castle, past small cathedrals and mingled with the locals. 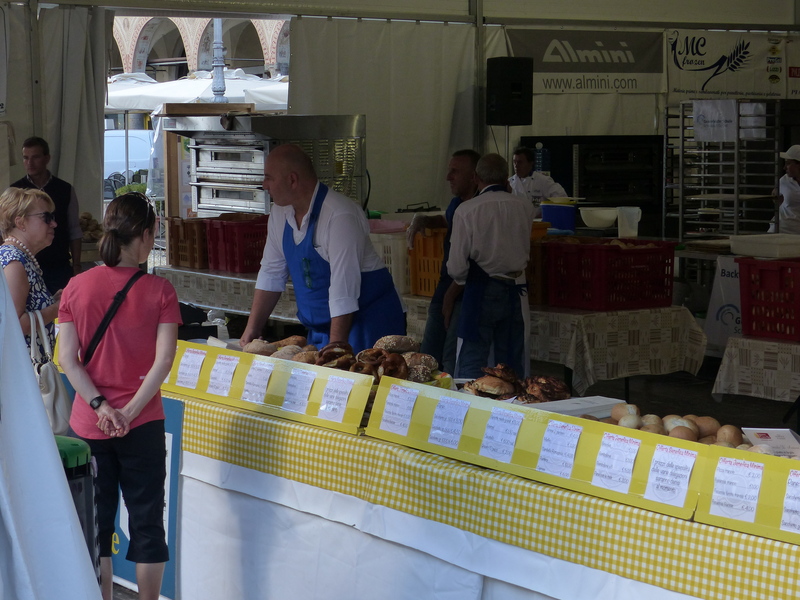 There was some sort of bread fair going on in the piazza, with displays and demonstrations going on and rows of various breads for sale. I strolled along the line of baskets displaying all sorts of delicious looking bread and selected a circular olive loaf, for us to enjoy later. Shopping with the locals again, with quite a bit of smiling and pointing again in order to communicate! 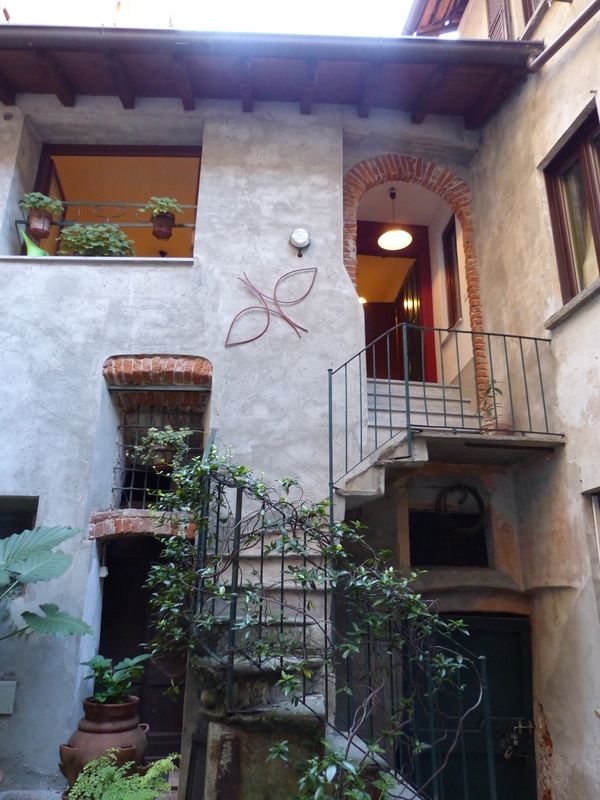 We made our way back to the small apartment, where the lady welcomed us and led us up the narrow, concrete steps from the courtyard and into the apartment. It was another “Wow” moment. It was lovely, utterly lovely. We thanked the lady, saying it was perfect and then we briefly settled in. We then went for a walk to the grocery store to get supper supplies and what an experience. 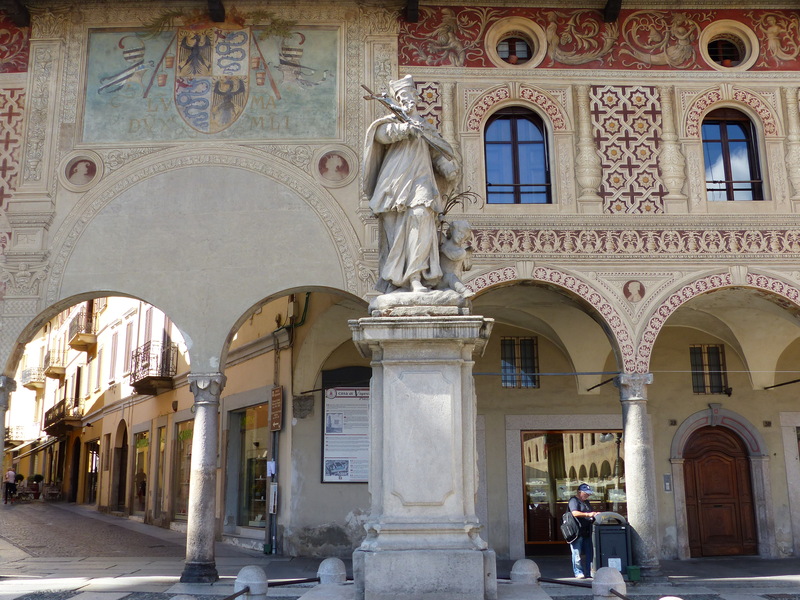 We strolled in the warm evening air, across the beautiful piazza, along the cobbled streets, passing a wedding party leaving a small chapel and on to the grocery store. Then strolled back, through those narrow, cobbled streets, back through the square, down our narrow cobbled street, through the big wooden gate, into the courtyard and then up the steps to our little villa. A very memorable shopping stroll. 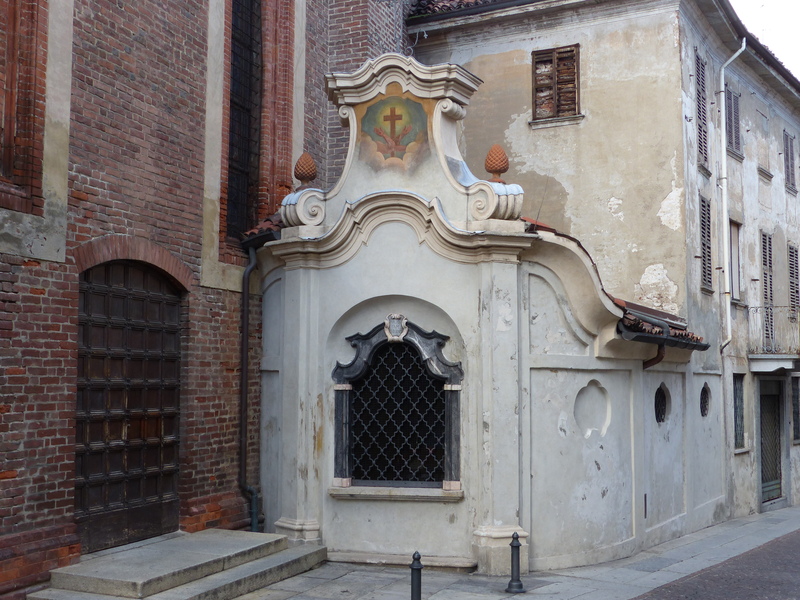 A small baroque chapel. Inside were the skulls of 17th century monks! 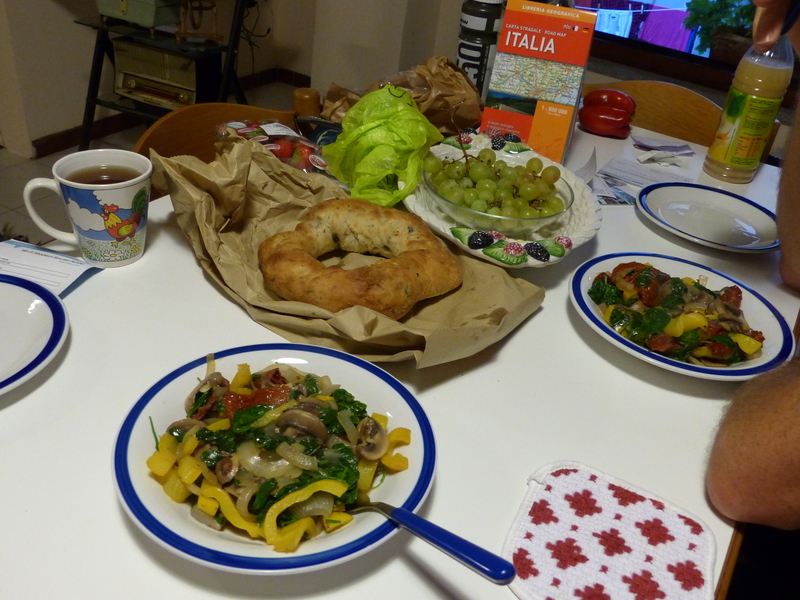 Steve took his turn to be king of the kitchen and cooked us a stir fry, which we enjoyed with the loaf of olive bread I had bought earlier. As we sat there, with the large windows opened wide, letting the warm evening air into the room, we sat with the tolling of church bells from across the square floating over to us. What a moment. How special. We may not have been able to camp, which was Plan A, but Plan B turned out to be a very special and memorable experience. Our little apartment, at the top of the steps. What a beautiful day. Bellissimo! 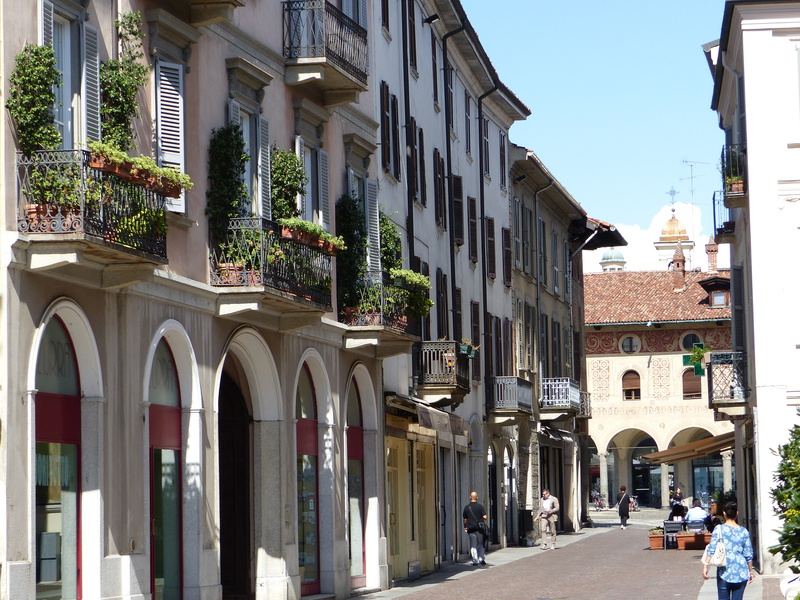 Beautiful weather, with that warm and constant sun, beautiful towns, with beautiful buildings and piazzas and beautiful people waving, smiling or chatting. Very special. We are only at the beginning of exploring Italy, but today was a delightful start and we were so grateful for being able to explore and roam around a charming town, in the sunshine. We were able to see it in all its beauty, which it truly deserved. No rain to mar the image! Hopefully tomorrow, our next chosen campsite will be operational and we can enjoy some more fabulous weather in the great outdoors. 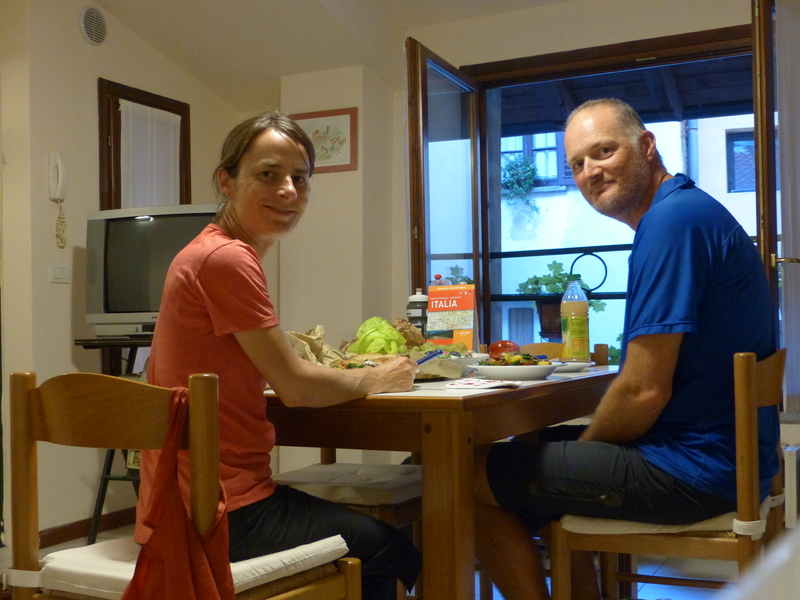 On we pedal, with Italy before us, with many discoveries to be made and gems to find. The treasure chest is waiting to overflow some more! I reckon you’re going to have lots of wow moments in Italy!! 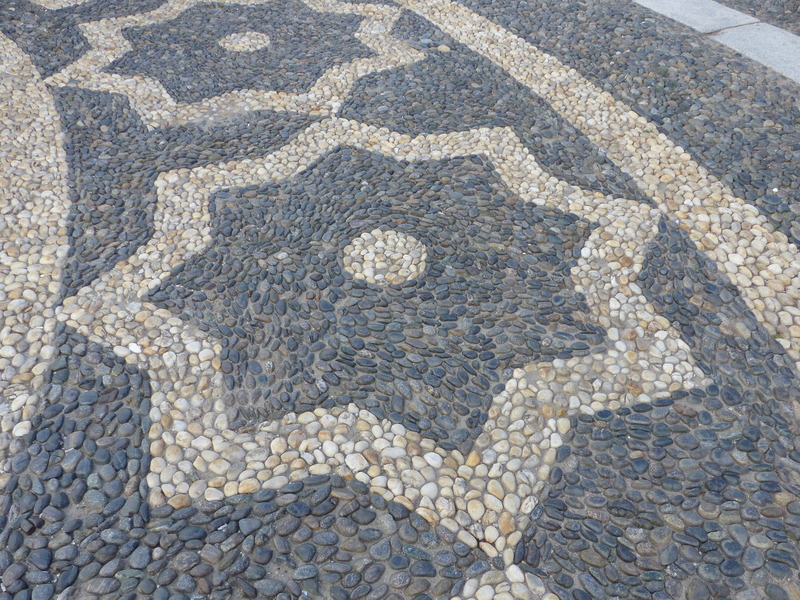 Their piazza’s are stunning. Enjoy the warmth and vitamin D.
Love the look of the round olive bread. 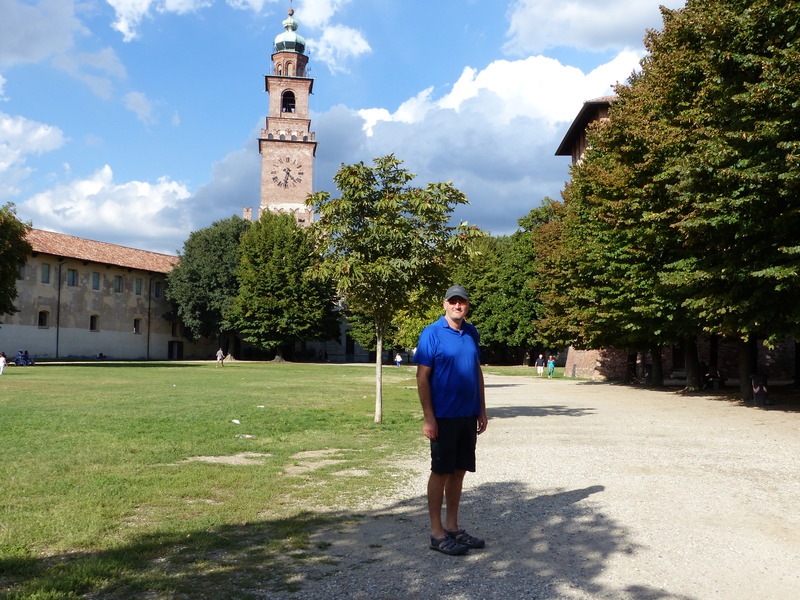 As we walked around Vigevano, Steve said, “I hope all of Italy is like this.” I guess he ain’t seen nothin’ yet! Wonderful to read about the good weather – it just makes such a difference, even though you have have been having a super time …. sun makes it “superer”!!!!! Love your little apartment – looks just like the ones in the movies!!! “Superer” is the word of the day! That sun is magnificent! I said that to Steve too, that the apartment was just like a movie. Ha ha, if that shows you’re in holiday mode, I reckon that’s great!